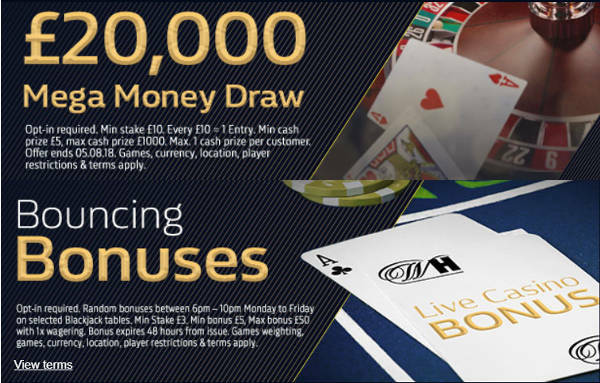 William Hill has launched two play promotions where you can win up to £1000 in a Prize draw or up to £50 if you’re dealt a bonus card when playing Blackjack. Both promotions require you to opt in, then all you have to do is play. 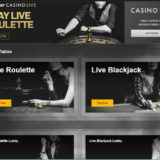 So if you’re planning on playing live casino games and especially Blackjack, you might as well Opt in. The promotion runs between Thursday 2nd August and Sunday 5th August 2018. 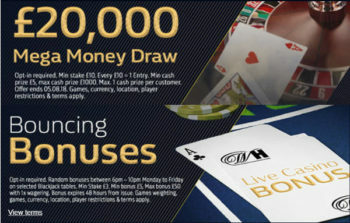 Get one ticket for the draw for every £10 staked. You can have an unlimited number of entries. The top prize is £1,000 cash. 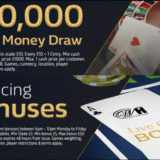 In total 1,450 prizes will be given out. The minimum prize is £5. 18+ www.begambleaware.org, further Terms & Conditions apply. The promotion runs between Monday – Friday 6pm to 10pm. 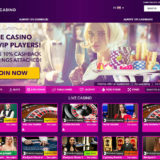 It’s only for play on the following Blackjack tables, Downtown Blackjack, Goddess Blackjack, Mayfair Blackjack 1, Mayfair Blackjack 2, Mayfair Blackjack 3, Genie Jackpot Blackjack and Vegas Blackjack. Randomly, Bonus cards will be placed in the shoe. 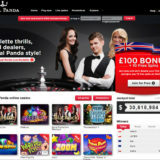 The bonus cards have a value between £5 – £50. If you’re dealt one, that amount will be credited to your account. It has 1 x Wagering. Fancy your chances? then head over to William Hill.